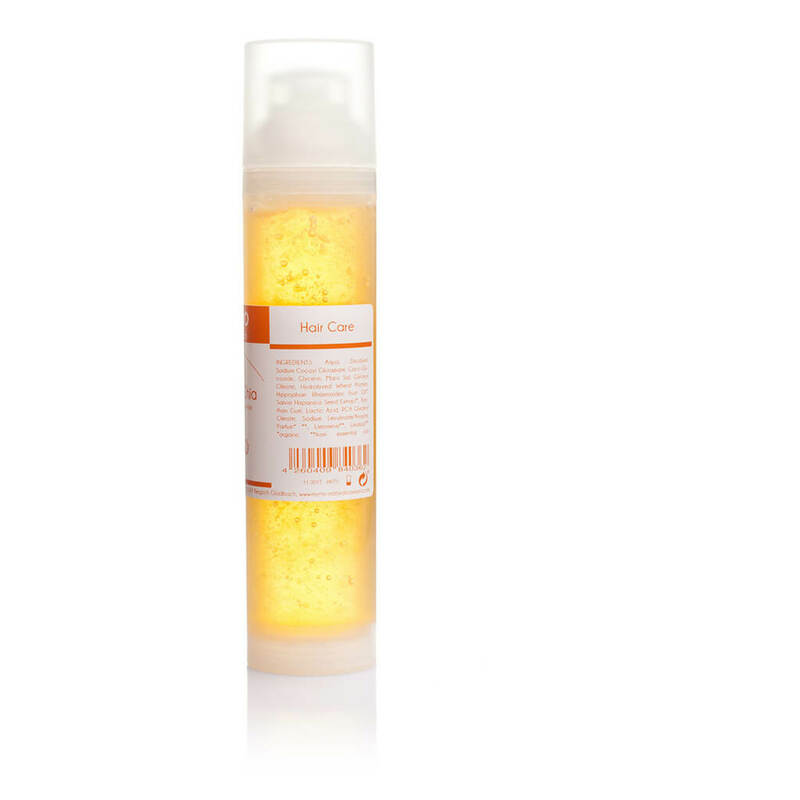 Product information "Bio Shampoo Sea Buckthorn Chia"
The mild sea buckthorn Chia Organic Shampoo is suitable for dry, dull and damaged hair. The formulation with vitalising sea buckthorn pulp oil and moisturizing chia seed extract strengthens the hair fiber, provides natural shine and protects against hair breakage. Also suitable for chemically treated hair.. The basis of all our organic shampoos are plant derived amino acids. These ensure excellent skin compatibility combined with improved elasticity and resilience of the hair. The gentle cleansing basis with fine pored stable foam - without drying out – restores and preserves the scalp’s protective layer. Additionally highly concentrated active plant extracts and pure essential oils nourish scalp and hair, suitable for the special demands of scalp and hair type. Natural anti-static ingredients improve manageability, providing natural shine, volume and vibrancy to the hair. Wash-active amino acids – cleansing very gently, stabilising the skin's acid mantle, providing resilience and elasticity to the hair fiber, locking-in moisture. The beautiful color is based on pure herbal ingredients. No preservatives, no alcohol, no silicones, no petroleum derivatives, no synthetic coloring or artificial fragrances are added. The product is without genetic modification, without nanoparticles or palm oil. Sparingly massage into the scalp, if necessary dilute with water. The natural essential oils contain as natural component Limonene and Linalool. There are no isolated fragrances added. An explanation of the ingredients can be found in our list of ingredients. The plants we use for our products are described in our active agent glossarary. At Codecheck.info, this product has been rated with "100% recommendable" for all its ingredients. Codecheck.info is a neutral platform for product ratings based on current scientific studies. By entering the EAN code - displayed for each article under the blue button "Add to cart" - the product rating can be looked up at www.codecheck.info. 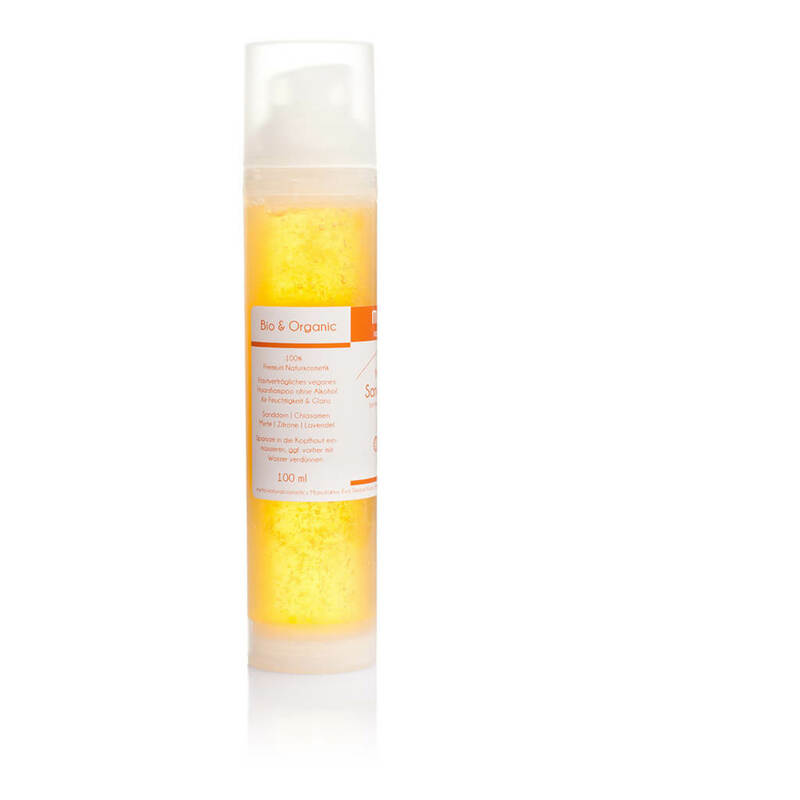 Customer evaluation for "Bio Shampoo Sea Buckthorn Chia"